Kelvin Chap grew up in Sabah, despite having been born in Indonesia. There, he developed an intense fascination for the Borneo tribal culture and symbolisms, which are always present in all his artworks. 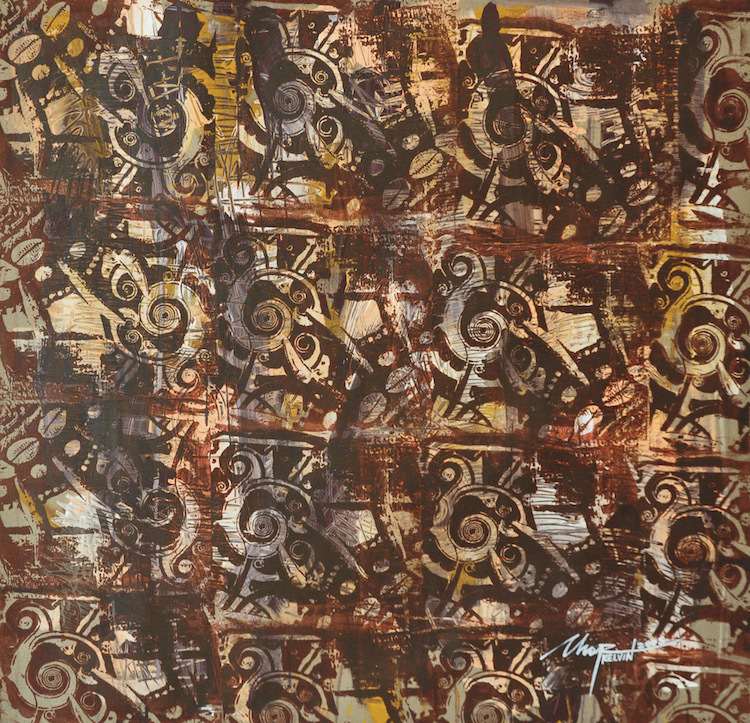 The masks, totem poles and everything iconic from Borneo is present in this artwork, in muted browns. The artist explained that the idea behind this piece is simply a social commentary; the overlapping of tradition and culture with modernisation, of how they clash, and the portrayal of a society that is too eager to accept urbanisation, so much so that the lines are blurred and almost obscure the original culture identity. There is also a narration about nature itself that is present in this painting, making this piece more meaningful in both meaning and technique. Kelvin Chap Kok Leong graduated from the Malaysian Institute of Fine Art in 1994, after majoring in print-making. He has won many art competitions such as the Pilihan Negeri Sabah 1993, 1994, 1995 and the Philip Morris Art Award Honourable mention in 1995.